Becoming a respected leader at the NHL level is by no means a simple task. 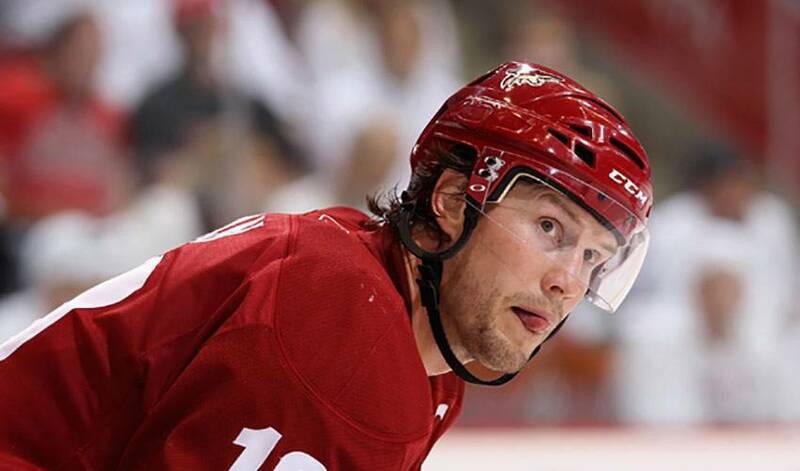 But Shane Doan, Phoenix's multi-talented captain, has managed to make it look so very easy. It is a role he was destined for, one he has held since the 2003-04 season. The longest tenured player on the club, having played all fourteen of his NHL seasons with the Winnipeg Jets/Phoenix Coyotes franchise, Doan is, according to his teammates, the perfect example of the type of player and person who should wear a ‘C' on their sweater. Adrian Aucoin, who is closing in on the 1,000 games-played mark at the NHL level, has played a fraction of those contests with Doan. In fact, the 2009-10 campaign represents the first one in which the duo has shared the same big-league uniform. But that doesn't mean Aucoin is unfamiliar with Doan, the player and the person. So, what exactly is it that makes Doan a great leader and revered individual? Drill down even deeper and it becomes increasingly apparent that the key to Doan's popularity is his lack of ego, a player who refuses to elevate his standing over others. Rewind to the spring of 1995 and Doan was making headlines as the MVP of the Memorial Cup, a major force on a Kamloops Blazers' club that won their third Canadian Hockey League crown in four years. In the aftermath of the post-championship celebrations, more than one reporter asked Doan, the MVP of the Memorial Cup, if his stellar play would translate into a higher draft position for the Alberta native. Talking to Shane today, it's apparent that with nearly 15 years of NHL service under his belt, and the captains ‘C' on his sweater, that philosophy hasn't changed one bit. Doan is still very much the same player he was during his pre-NHL days, a performer who plays with a sense of duty and obligation to those who wear the same uniform. Doan made the transition from the major junior ranks to the NHL in 1995–96 and recorded 17 points in his rookie season with the Jets, who moved to Phoenix and became the Coyotes the following season. His breakthrough campaign came in the 1999–00 season when he scored 26 goals (the first of nine consecutive 20-goal campaigns). After the departure of captain Teppo Numminen, Doan assumed the role in 2003–04 and contributed 27 goals, 41 assists and 68 points. During the season, he was selected to play in his first NHL All-Star Game in 2004. He then hit the 30-goal mark for the first time in his career the following season to go along with 36 assists and 66 points. In the latter stages of the 2006–07 season, Doan agreed to a five-year contract extension with the Coyotes. He responded the following season with his best campaign to date when he led the team in scoring in 2007–08 with 28 goals and a career-high 50 assists and 78 points. In 2008–09, Doan was selected to the 2009 NHL All-Star Game and won the inaugural Elimination Shootout segment of the Skills Competition. He completed that season with his second straight 70-point campaign and a career-high 31 goals. Yet personal numbers matter little for the man who has five World Championship medals, two gold, three silver, in his trophy case. What does matter, though, is seeing the team succeed. Which is exactly how the Phoenix Coyotes have performed in 2009-10, a team thought destined for the Western Conference cellar, who find themselves currently sitting in playoff position. And while Aucoin is quick to acknowledge the prime reason for the ‘Yotes success has been achieved through a collective effort, the blueliner doesn't diminish the impact of their captain.